The day that I have been waiting on all summer has finally arrived. The official start of fall is finally upon us! I would be lying if I said I wasn't elated and MAYBE went a little over the top with the festivities, but hey...you only live once, right? Anyway, I digress. 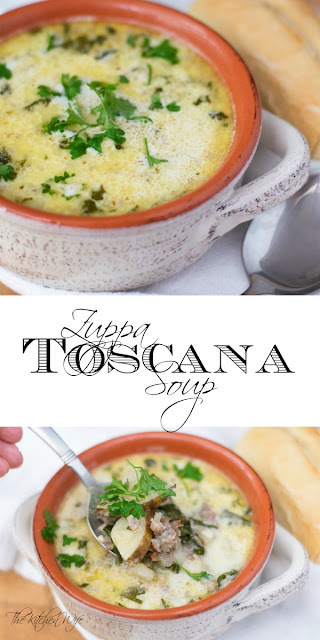 What I WANTED to say was that we were blessed with the most perfect fall day and I was able to make one of my very favorite soups Zuppa Toscana. I will never forget the first time I tried this at Olive Garden. It was love at first sip, and I KNEW I had to recreate it at home. I dare say that this recipe is pretty perfect and I can't wait to share it with you! 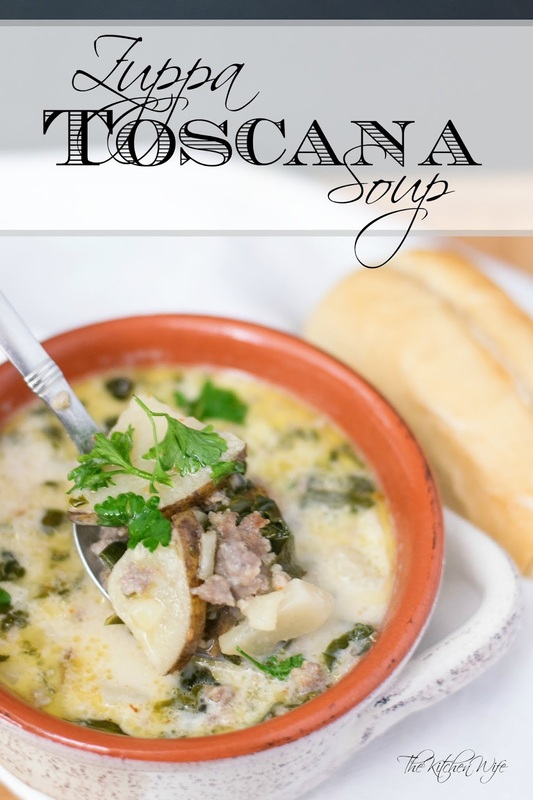 For this Zuppa Toscana Soup Recipe you are going to need a new simple ingredients. 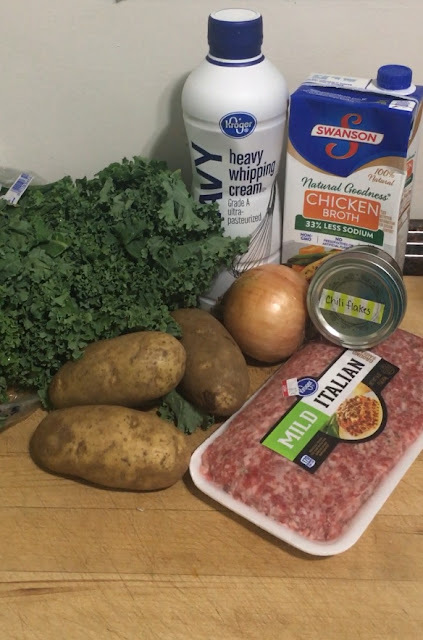 Once the sausage is fully you will add the chicken broth to the pot and let it come to a boil. I like to cut my potatoes in half and thinly slice them. Also, I pull the green, leafy part of the kale off of the stem and chop is finely. Give it all a little stir so everything is mixed well in the pot. After the 15-20 minutes make sure your potatoes are fork tender. If they are, you can add the cream. Give everything a stir and you are ready to eat! 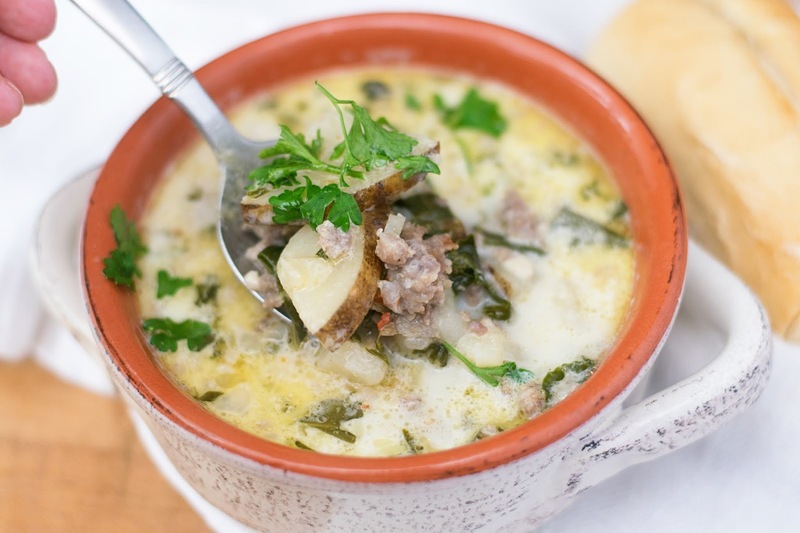 This Zuppa Toscana Soup Recipe is warm, hearty, a little spicy. It really is the perfect meal for these chilly fall nights, and it so east to make! I know you're gonna love it so give it a try tonight!